Direct Vent refers to gas fueled appliances that use a specially designed double wall pipe to vent the exhaust to the outside of the structure. 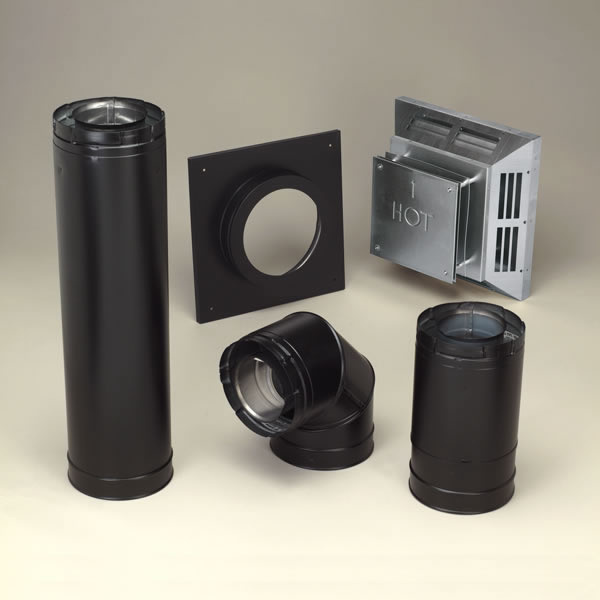 The coaxial design of the chimney pipe allows internal combustion air to be delivered between the outer and inner wall of the direct vent pipe, and the combustion exhaust to exit through the inner lining. This allows for the appliance to be a sealed system and gain a better efficiency, as no air from inside the structure is used for combustion. 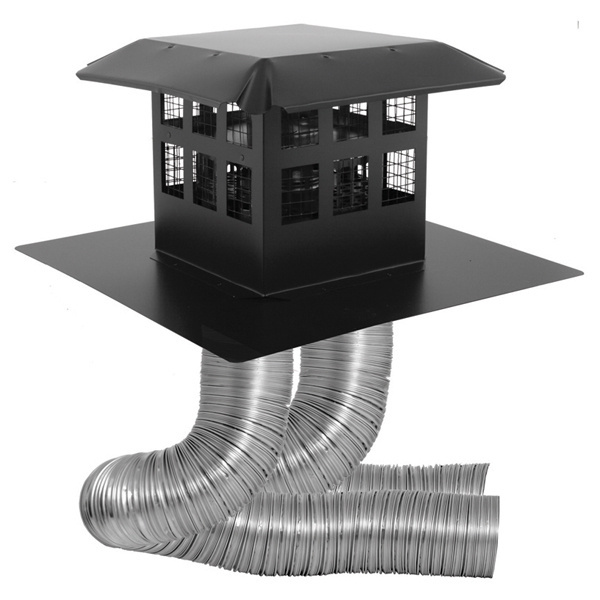 The intake air entering between the walls of the pipe also help keep the chimney cool and a smaller clearance to combustibles.